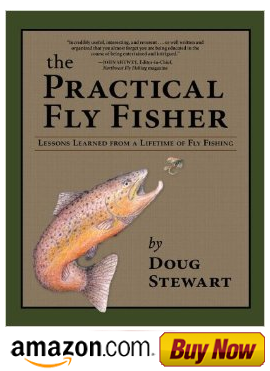 Fly fishing when the temperature is below 30 degrees can be problematic and challenging. But it can also be productive if you know when and where certain insects will be hatching. Patience is a necessary element for success. Dressing for the weather is important since you may have to sit and wait for certain hatches to appear. One nice advantage is that there is usually more room to fish when the weather is cold and inclement. Here are some things I’ve learned on the Deschutes River. First, don’t start fishing until the water warms, which is usually between 10:00 and 2:30 in the afternoon. This is when insect activity is best. 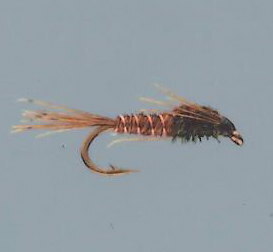 There are not as many hatches in the winter, but there are a few that are available: blue-winged olives, midges, the little brown stonefly and various small mayflies. 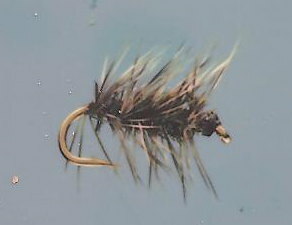 A Black Body Elk Hair Caddis fly, Griffith Gnat, Dark Brown Hare’s Ear and Pheasant Tail nymph can all be productive. Sizes vary from 10-18. If they’re smaller than this you might need the patience of Job to be successful. 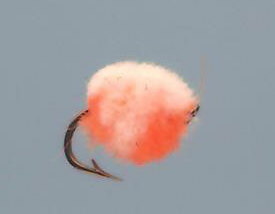 Also, dead drifting Glo Bugs, San Juan worms and attractor patterns can be very effective, but I don’t fish them like I used to because it requires more effort to be successful. 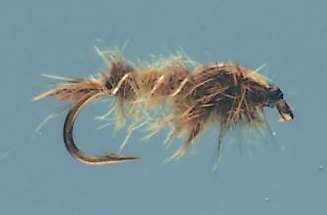 Simply put, fishing dry flies is more relaxing and in many cases more productive than other methods. 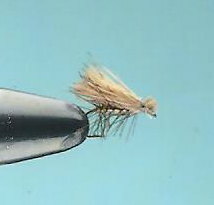 My favorite fly pattern is a Blue-Winged Olive, but the hatches are not as consistent as they used to be. It’s possible that the flood of 1996 ripped out lots of important vegetation for insects. Depending on the river, the normal time of emergence is between 11:00 to 2:30 in the afternoon. During very cold and unpleasant weather, I’ve had some of my best fishing when it’s snowing. With regard to the water types, look for glides that have surface depressions and current tongues that may concentrate nymphs. Also, swirls on the surface can indicate fish are taking nymphs. A final thought is that vigilance might produce good results. If there isn’t any action, just sit back and enjoy the scenery and the variety of wildlife such as water oozles, ducks, deer, swallows and eagles. Success can only be measured by enjoying the total experience.